Love our service? Leave a review! 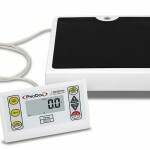 Whether you require scales for personal use, rehabilitation, pediatrics, wheelchairs, or special bariatric patient needs, Detecto has the solution. 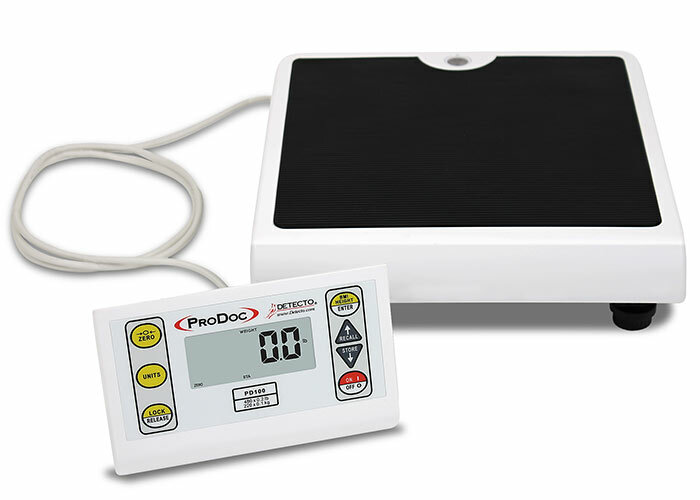 In addition to personal and physician scales, Detecto offers a wide range of products, including step-on waste receptacles, glove dispensers, veterinary scales, dynamometers, dietary scales, and laundry scales. 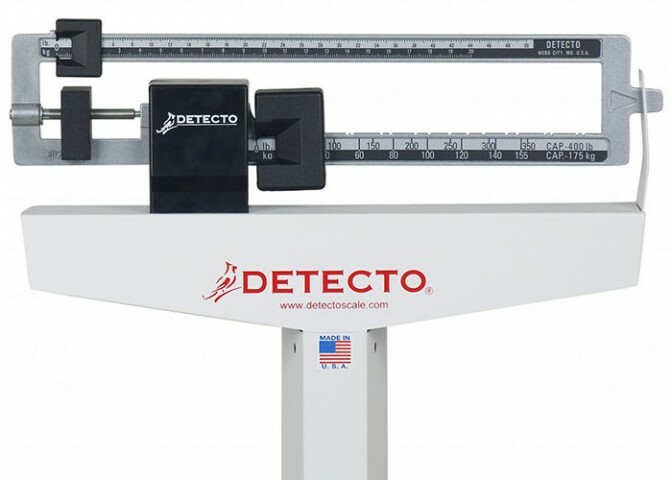 Detecto’s world-renowned USA-made eye-level mechanical weigh beam physician scales feature a heavy-duty solid stable 10.5 x 14.5 inch (27 x 37 cm) platform, a dual-reading die-cast weigh-beam which may be read from either side of the scale. ProDoc digital scales feature heavy-duty stable bases, body mass index calculation, and highly-visible 1 inch (25 mm) high LCD displays equipped with a mounting bracket for a wall or desk station. Let us know – (800) 451-1644. Whenever you call—day or night—you will speak to a real person who will get you into the hands of a technician or owner who will take care of you like family. When buying a scale on the internet or purchasing a used scale, take note: Any scale intended for commercial use must be NTEP approved with a COC number. Find out first - visit the website http://www.ncwm.net/certificates. Copyright © 2019 Apple Valley Scale Company. All rights reserved.